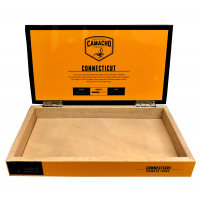 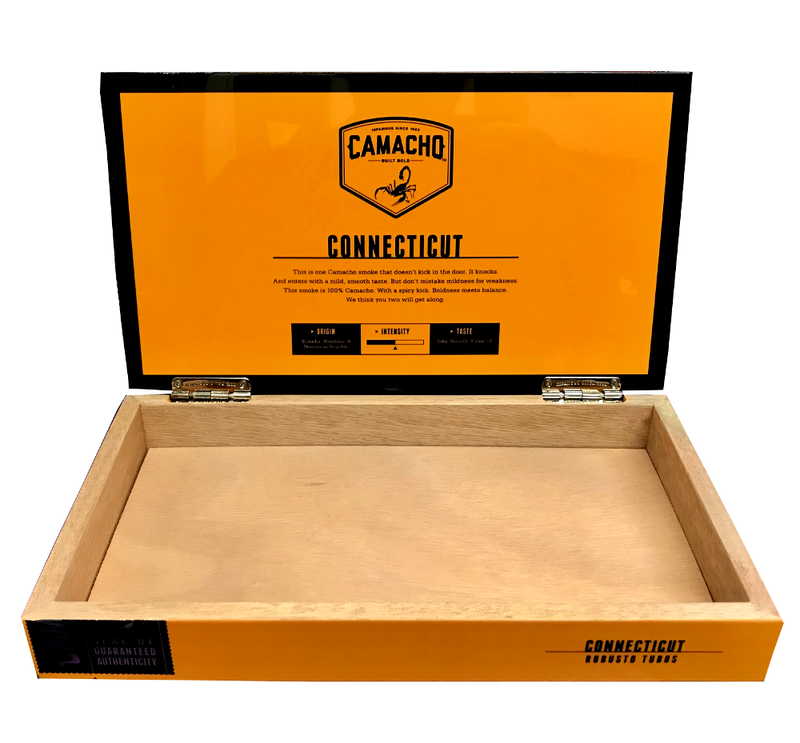 Empty Comacho connecticut box. Lovely shiny exterior with a bold yellow colour around the outside and under the lid. 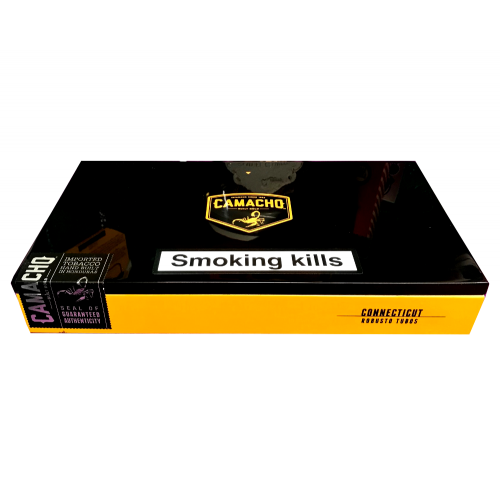 Also available in red and yellow.